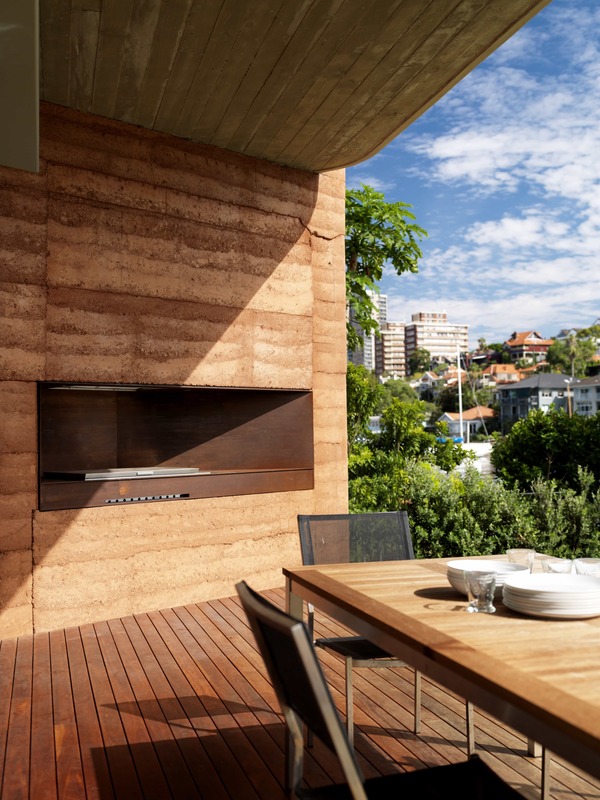 This is an extract from a presentation given by Luigi in March at the 2012 Architectural Axis conference entitled “Kirribilli House: Ramming Comfort”. 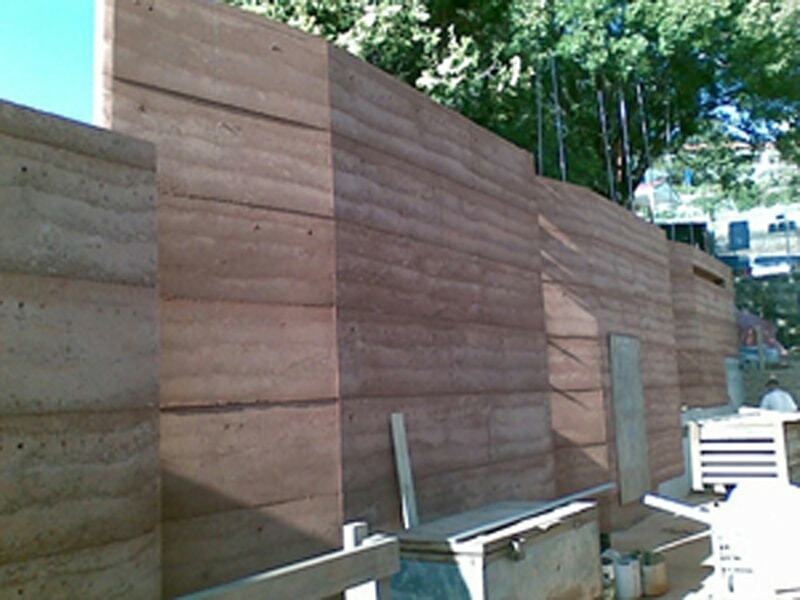 The presentation was intended for architects interested in rammed earth construction. 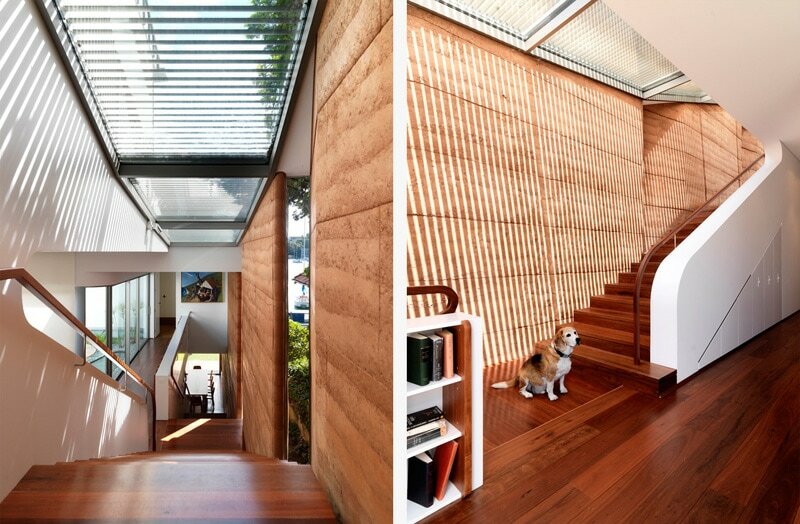 The main stair not only functions as the main physical circulation for the occupants of the building, it also draws the cool sea breezes and basement air up into the dwelling using the chimney effect, the air rising up to a louvred skylight at the top of the stair. 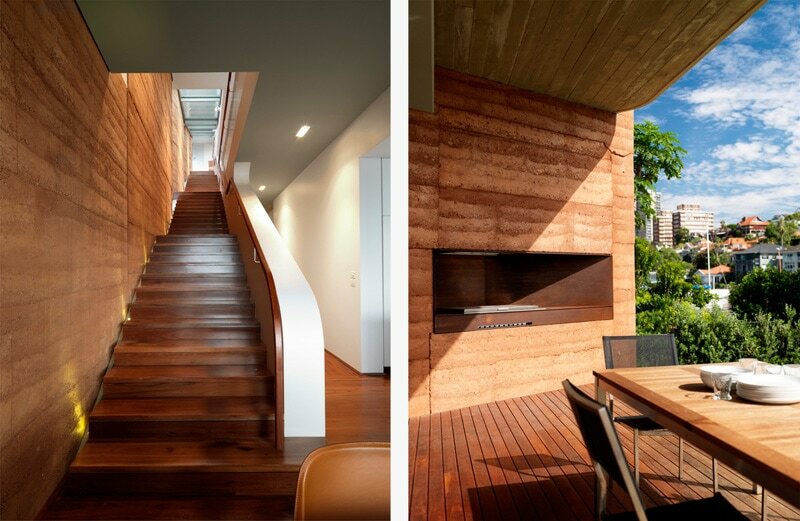 In addition the rammed earth wall acts as a huge air conditioning unit. The clay component of the wall has hygroscopic characteristics, and airflow along the wall draws moisture from it through evaporation. This evaporative cooling reduces the temperature of the wall in the same way sweat cools the body. This requires no fans, compressors or any other energy intensive equipment associated with air conditioning. 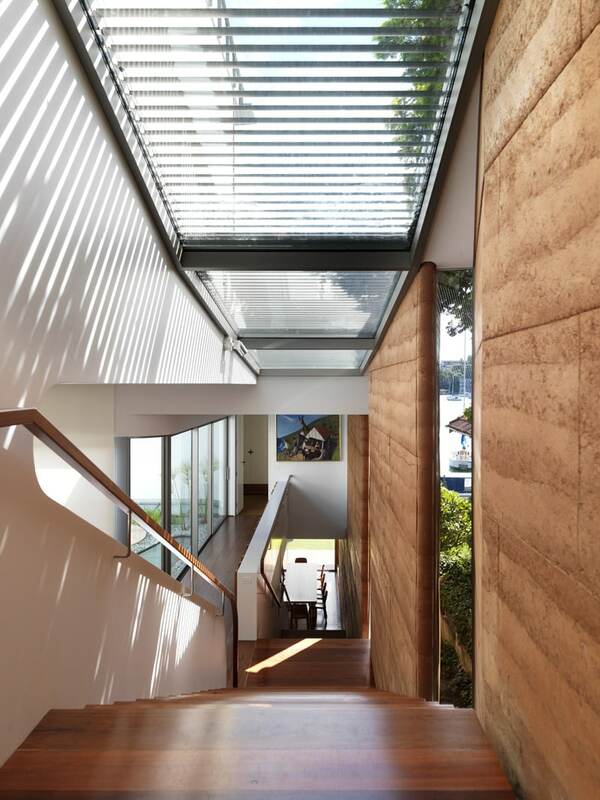 In winter a linear skylight just north of the rammed earth wall allows the sun’s rays to be cast directly on it. Adjustable louvres control the intensity of the sunlight and glass louvres adjust the natural ventilation. 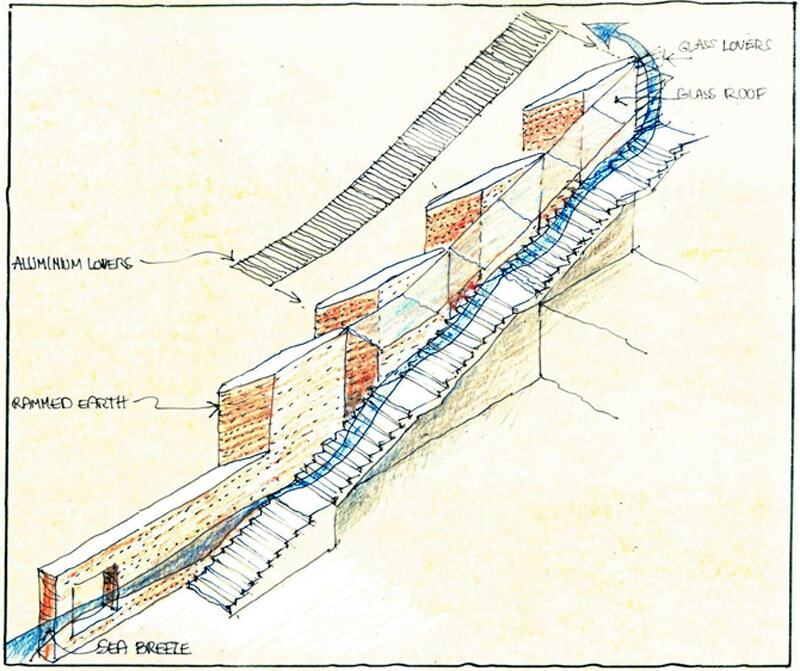 An Exploded axonometric drawing of the rammed earth wall. Traditional types of formwork are in many ways similar to those used today, although todays methods require much higher strength structures to withstand the ramming process. The quarried materials on the site require a large free space on the building site, as the contractor uses a bobcat to mix and place in the formwork the materials. 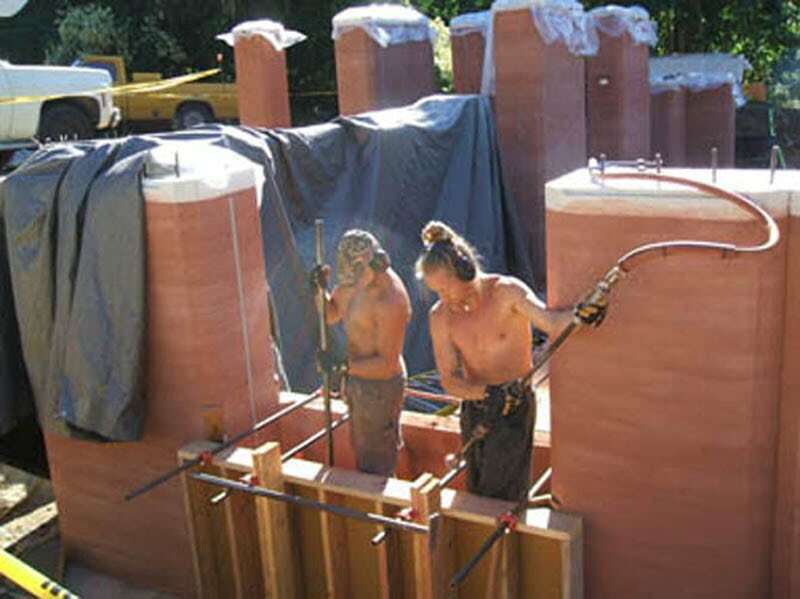 Once in the formwork the contractor uses pneumatic rams to compress the earth, layer by layer. Each layer is about 30cm. The walls need to be 300-450mm to accommodate this process. 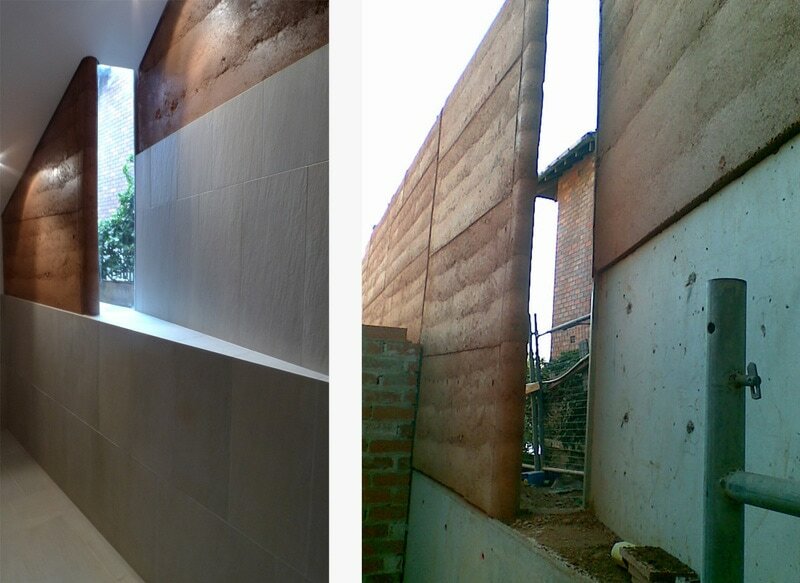 The joints between the formwork panels are expressed in the final wall. 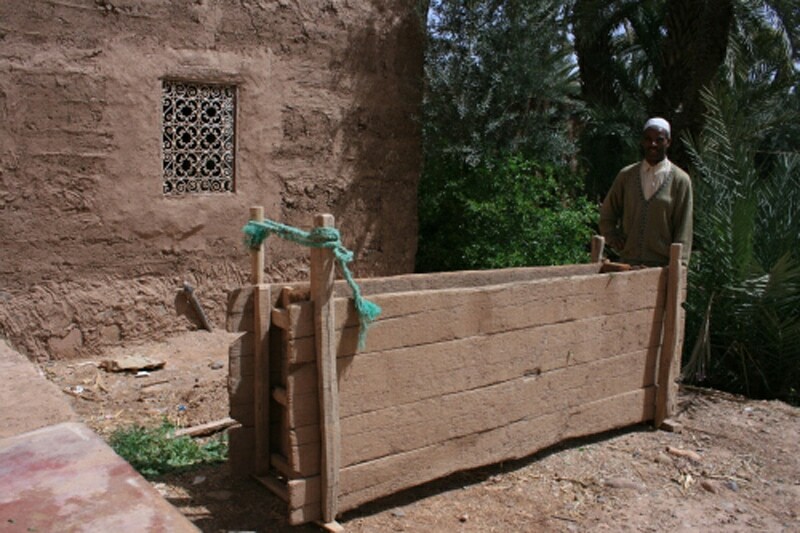 Rammed earth is a quarried mix of clay, sand, gravel and does not need any processing or energy intensive production like as bricks and cement. If sourced in close proximity to the site the material has relatively little embodied energy content. The walls do not require any steel reinforcement, but on the other hand adding 6-10% cement to the mixture will improve the shrinkage and strength of the wall. 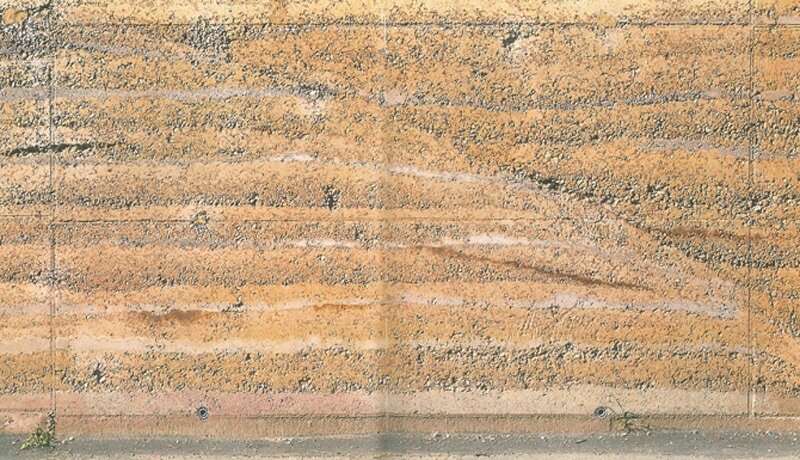 Whilst the choice possible range of colours achievable with rammed earth is large, the decision to source earth locally narrows the field. A drier mixture gives the wall more texture and graininess. It helps to provide an image to the contractor of the colour and texture you want to achieve; we provided it in the architectural specifications. See our specification. 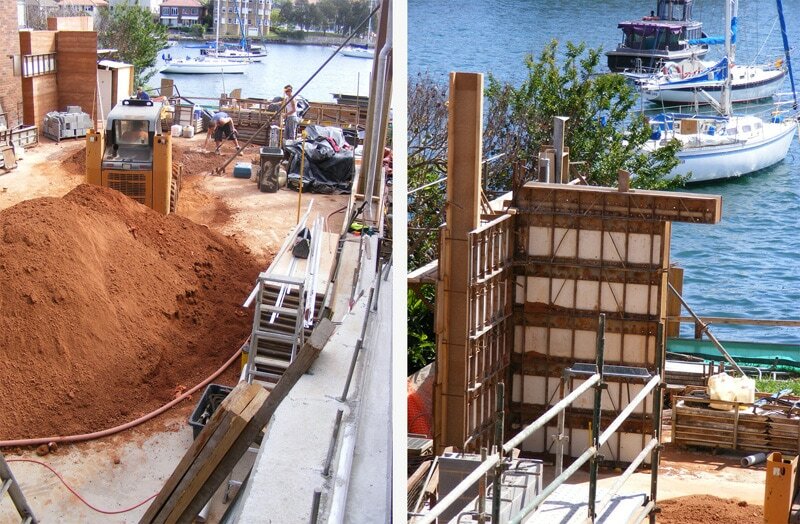 One difficulty in the use of rammed earth in Sydney is the shortage of contractors who specialise in these techniques.